A slot machine informally known as a fruit machine is a gambling machine familiar to most online and brick and mortar casinos. It has three or more reels that spin with just the touch of a button. In the old days at brick and mortar casinos, they were operated by one lever on its side instead of a button. In the world of today, some brick and mortar casinos still have slot machines operated by the lever. When people added the fact that they were believed to be capable of leaving a player broke to the lever operation, they began to also call these machines one-armed bandits. 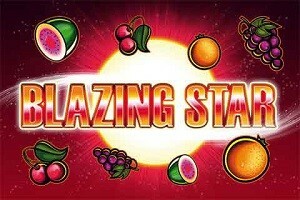 So you can say Merkur Blazing Star is a slot machine, fruit machine or one-arm bandit. Whatever name you give it, it is loads of fun. In December of 2015, it was launched online by German-headquartered Merkur Gaming. Unlike its sister slot machines such as Spacemen II, Egyptian Eye of Horus, and Jolly’s Cap, this game is known to be in the same form as the old fruit machines. Some of you may remember the old days when the classic, fruit machines were played at pubs and restaurants. Well, this game is a bring-back of those days since the symbols you see on the reels are inspired by the old slots. 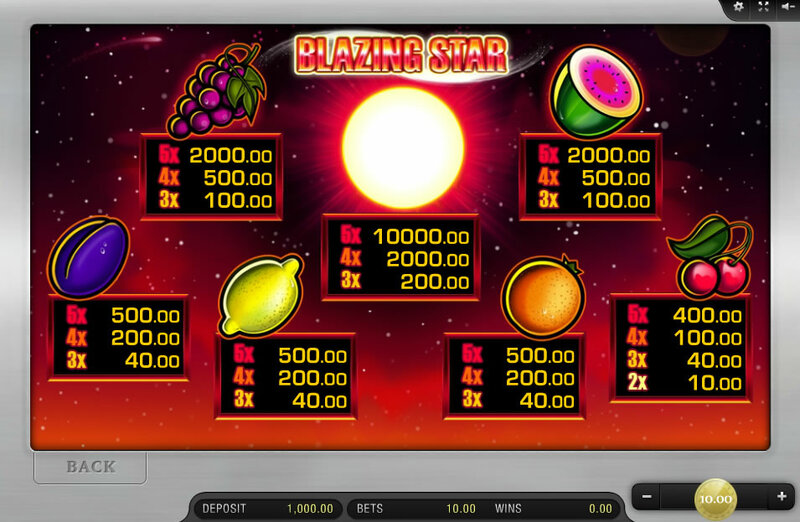 With a classic fruit machine theme, the game symbols include cherries, grapes, oranges, plumbs, the blazing star and more. This Merkur Gaming video slot can be described as being both industrial and simplistic. In order to have a winning line, your spin must end with 3 matching icons on the same pay line running horizontally from left to right. Three is the minimum number of matching icons, and if a player manages to get more than 3 matching symbols on one line the rewards earned will be higher. A consensus of regular players of slot games is that the overall gaming experience is lots more fun if the gameplay is simple. This game’s play certainly is simple. In the middle is its 3 X 5 reel-set, and either the blazing star or sun shines in the background. Its features include five reels and a maximum of five pay lines. It may have only five pay lines, but it offers the best odds to be found anywhere. When discussing the odds of slot machines, the metric usually used is called the “payout percentage” or “payback percentage”. The payout percentage or expected return to player (RTP) of this game is 96.31% which is a fairly good result for this type of machine. With that percentage, of every hundred dollars played the online casinos may win an average of 50 cents. The usual mission of gamers is to be able to play this game and win rewards. Bonus options can also be won. Try it and you’ll like it. This game is one of the online games that is the most fun for players these days. Slotsclub.com is proud to present this slot game for free. 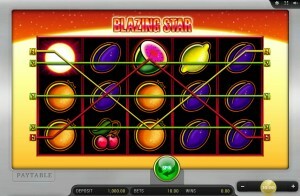 This game is very enjoyable, limitless and has a probability for you to win big cash. 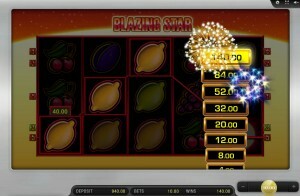 New players should begin by playing the free slot online versions. Remember, practice makes perfect. Before you’re ready for the real deal, be sure to practice.